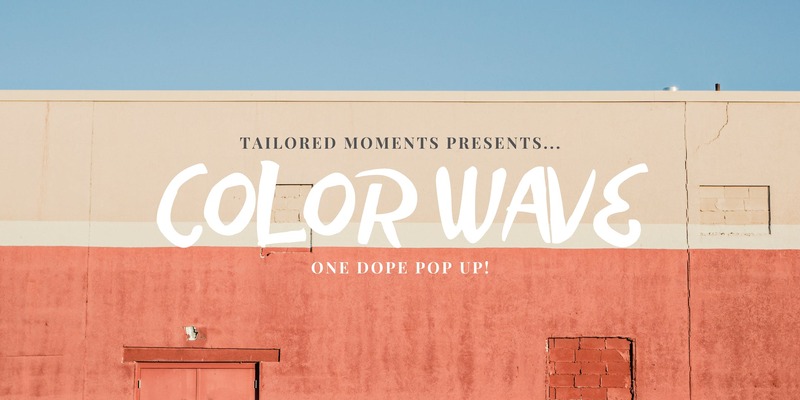 Color Wave is a pop-up party installation designed and curated by Servanté Cook, Chief Creative Officer of Tailored Moments. This installation features 1 room full of 4 colorful moments great for photo opps. For a full month guests are able to experience this pop-up during scheduled time blocks throughout the week. General admission is $15 (20min) and private sessions are $45 (1 hour). During private sessions guests are able to bring their own photographer for professional shots, and even do outfit changes to really ride the wave! Today the pop up selfie museum idea is huge! We’re so excited to make our mark in this awesome trend. Servanté was inspired by all things that sparks a smile. A summer bike ride, beach waves, colorful birthday parties, cool drinks, and up-beat music that makes you want to dance!